Cash, bonuses and Free Spins must go! The sun is shining in the casino at Betsson this week, when a total of €50,000 worth of cash prizes and bonus money will be given away to hundreds of players. Additionally, you can also get your hands on daily Free Spins! 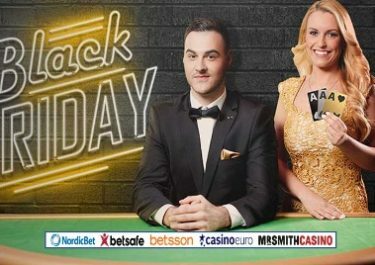 From Monday to Thursday this week, they will be giving out daily shares of a €5,000 pot to 100 lucky players. To top it all, they have a big weekend draw where 500 players will get their share of a massive €30,000 prize pool. Player wagering on the selected games will also qualify for 50 daily Free Spins. Exclusive for players from Finland, Germany, Iceland, Netherlands, Norway, Peru, Sweden and Switzerland. Get in on the action and excitement this week at Betsson, start by clicking the “Let’s Get Started” button. 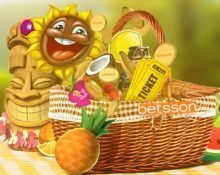 Make a single deposit of at least €25 and play minimum €10 on one of the featured games – Flowers, Fruit Shop, Jungle Spirit: Call of the Wild, Aloha! Cluster Pays™ – every day you want to be in the draw during the week raffle. The daily raffles take place the following day and the winners will be credited by no later than 18:00 CET. Players, who want to take part in the weekend raffle, need to deposit at least €25 and wager minimum €50 on the featured games between Friday and Sunday. The draw will take place on the following Monday and winners will be credited by no later than 18:00 CET. Cash prizes have no wagering requirement, bonus prizes need to be wagered 35x. Every day, players can collect instantly 50 Free Spins on the featured games when they wager minimum €50 on the selected games this week. Spins need to be played before 23:59 CET and winnings need to be wagered 35x.